A family’s situation changes over time, even after divorce, so it is not uncommon for custody arrangements to go through some modifications as well. In many cases, these modifications are made by the parties themselves because one of the parents got a new job in a different city or one of the party’s financial situation has changed. However, custody arrangements and parental visitation rights can also be affected by other forces, including criminal convictions. In these situations, when one of a child’s parents has been convicted of a crime, the court will review the arrangement that is currently in place to determine whether keeping the same schedule is in the child’s best interests. This can be a complicated process, so if you or your ex-spouse were convicted of a criminal offense and have questions about how it could affect your visitation or parenting time, you should strongly consider consulting with an experienced child custody attorney who can address your concerns. When determining whether a current custody arrangement is appropriate, courts always put the interests of the child first. In most child custody cases, this involves attempts by the court to refrain from disrupting the child’s schedule, so they will only do so if the child’s well-being requires it. When a parent is convicted of a crime, the court will assess how and whether that conviction could impact the child. If, for example, the crime involved violence, then it is likely that the court would be willing to disrupt a child’s schedule under the current custody arrangement out of concern that he or she could be negatively impacted by the parent’s behavior. Besides trying to avoid disrupting a child’s day to day life, courts also attempt to ensure that a child retains his or her relationship with both parents, as this is generally deemed to be in a child’s best interests. Even when a parent has been convicted of a criminal offense, courts are hesitant to intrude upon these relationships, although they will do so if the child’s safety requires it. 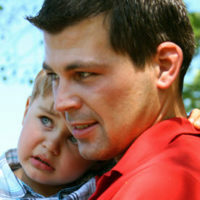 After a person has been convicted of a crime, courts are often willing to allow continued access to that individual’s child, although conditions may be placed on parenting time. In most cases, conditions are related to the nature of the offense committed, so if a crime involved drugs or alcohol, then the court might require a child’s parent to undergo regular drug testing or prohibit him or her from driving with the child. Alternatively, a court could order supervised visitation or require a parent to visit with a child in a public place. If you have been convicted of a crime and have questions about how it could affect your own custody agreement, you need the advice of a skilled attorney, who will aggressively protect your rights and interests. 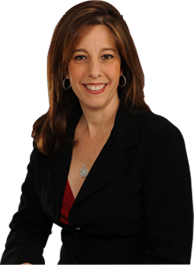 Please call Fort Lauderdale family law attorney Sandra Bonfiglio, P.A. at 954-945-7591 to learn more about your parental rights and obligations.